Spanish voice overs that connect with listeners and get results. US-based Native Spanish voice over talent: Believable storytelling voice you want to listen to and buy from. Call me to audition your Spanish script – You can direct me live without leaving your desk. Spanish voice over that’s so convincing, even people who don’t speak Spanish want to buy. Get your message across clearly in Spanish while keeping your listeners engaged. Add life and energy to your Spanish voice overs so your listeners sit up and pay attention. Professional, engaging and effective recordings in Spanish or English that get results! Native Spanish Voice Over Talent So Captivating, Even People Who Don’t Speak Spanish Want to Listen and Buy… You know it’s hard to find good voice over talent who can work quickly, affordably and effectively. It’s almost impossible to find a great US-based, female native Spanish VO talent with real world success…who gets results. Someone who knows how to get in sync with what producers/clients want, and can nail a Spanish or bilingual script so it connects with listeners. Most VO talent make what should be a simple process…anything but simple. 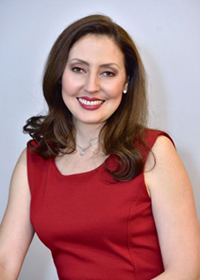 Co-Author of the Book “Today’s Inspired Latina”. “Today’s Inspired Latina” provides inspiration and hope through personal stories of overcoming language barriers, self-doubts and other obstacles. These strong Latinas’ stories are a positive, empowering read for anyone fearing your dreams won’t come true. 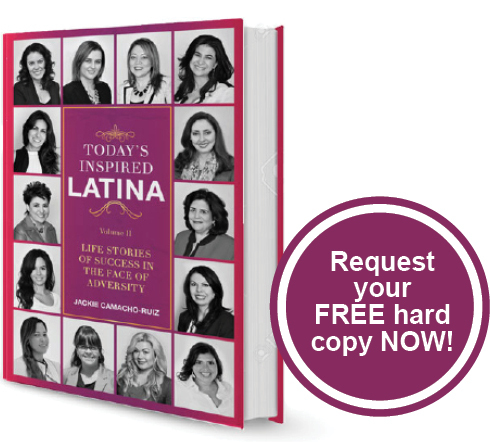 Today’s Inspired Latina shows that your dreams can become reality! I’ve been doing professional VO for nearly 20 years in Mexico and the US. I help Fortune 500 and small businesses turn bilingual in 30 seconds or less and bridge the gap with the ENORMOUS Latino Market. I know how to work professionally and deliver what you want. And I continually improve my skills with on-going VO coaching so your script always get quality results. GUARANTEED! “It was a pleasure working with you Nydia. You were reliable, punctual, and so professional. I will definitely reach out for more Spanish VO …. 1) You have zero cost to try me out because I audition your script for free. And you’ll like what you hear. 2) When you hire me, I’ll bring life to your Commercial, Medical Narration, or Corporate script in Spanish. I’ll nail it on the first try. 3) And for 30 days, if necessary, I’ll work with you to make it right and make it sound the what you want, or your money back. You have zero risk. I’ve built my 20-year VO career working with quality producers and top-notch clients like you. I know if I take care of your needs and make you sound good, you’ll consider me for future female Spanish voice over work and refer me to your colleagues who need my world-class delivery. If you’re not satisfied, you get your money back and we can work together on the next project. I’m here for the long-term, aren’t you? Schedule my Spanish VO service today and Save 20% on your project. Claim a free audition for your Spanish script. Contact me now. ©2019 Nydia Monarrez. All rights reserved.